This compact, inexpensive hub includes camera-card slots and 4K HDMI. 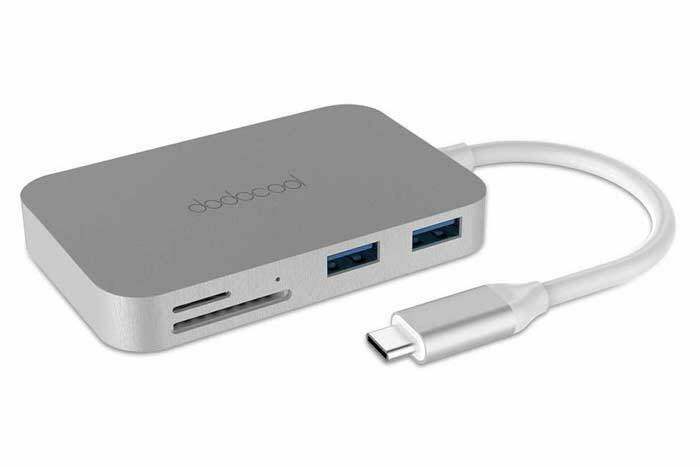 Dodocool’s DC30 7-in-1 USB-C Hub ($44.99 MSRP; $36 on Amazon) packs a lot of ports and desirable features into a handsome, robust small package that also modestly priced. The hub includes 4K HDMI, three USB 3.0 (5 Gbps) Type-A ports, SD and microSD slots, and passthrough power. The USB-C port can’t be used for data transfer. It lacks a bit on the power front, which could affect your purchase depending on what you need to do with a hub or a dock. You can only plug in a single hard drive to the hub, and the entire hub maxes out at 900 milliamps (mA), which translates to 4.5 watts, whether for bus-powered devices or recharging an iPhone or other hardware. That might not be enough, but in such a compact space and at such a low price, that’s one of the tradeoffs. The model I tested had very tight tolerances on its USB-C port, making it a little hard initially to insert cables. The integral 5-inch USB-C jack (including the connector) is reinforced and snicks nicely into a 12-inch MacBook’s port. I don’t love integral connector, because they can be bent or damaged in transit, and then the entire unit has to be repaired or replaced. 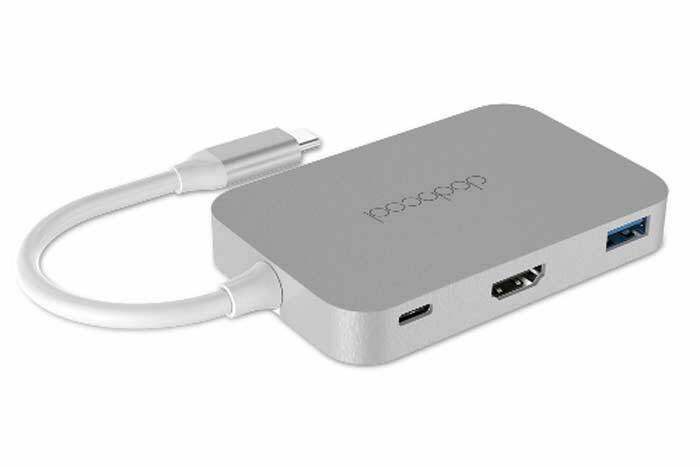 But Dodocool has tried hard to make theirs resilient, and it’s also easy to lose a removable USB-C cable—and a pain to replace one that supports high-wattage power passthrough. 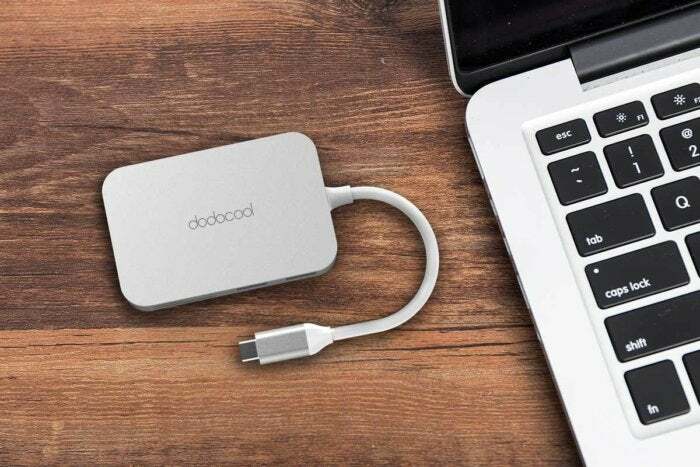 Some travelers and desktop users might need gigabit ethernet, VGA, more bus power, or a 10 Gbps USB 3.1 Gen 2 port, but I expect most people will find the Dodocool the right mix of features and price tag.